Volkswagen has unveiled its much-awaited compact SUV, the T-Cross. The 2019 T-Cross was revealed across Amsterdam (the Netherlands), Shanghai (China) and Sao Paulo (Brazil) simultaneously. There are three different versions of the T-Cross, each one tailor-made for specific market requirement. Of the three, India is likely to receive the Brazil-spec SUV by 2020. All three versions of the SUV are based on VW Group’s MQB-A0 platform, which will be localised in India by 2020. The Brazil- and China-spec SUVs feature a longer wheelbase. It is, in fact, identical to the Virtus sedan’s (second-gen Vento) wheelbase. The Euro-spec model, on the other hand, is smaller as its wheelbase is nearly the same as the new Polo. While the Brazil- and Euro-spec SUVs are almost indistinguishable when it comes to styling, the China-spec SUV features a distinctive front end, especially the bumper. However, the overall styling of the three SUVs are similar to the 2016 VW T-Cross Breeze drop-down concept (pictured above). As expected, several bits on the inside have been borrowed from the new Polo and the Virtus. Even the layout of the dashboard is similar to the new hatchback and sedan. The T-Cross packs a 10.25-inch fully digital instrument cluster and up to 8-inch glass-encased touchscreen infotainment system with CarPlay and Android Auto. It even gets colour coded dashboard panels similar to the ones seen on the new hatchback. Also on offer are a panoramic sunroof, park assist, ambient lighting in the footwell, central console and door pads, LED cabin lights, full-LED headlamps and connected LED tail lamps. Safety features include six airbags, electronic stability control (ESC), hill hold control, electronic differential lock, tyre pressure monitoring system, fatigue detector, autonomous braking and more. Like most of its rivals in the compact SUV segment, the T-Cross does not get an all-wheel drive setup. That’s because it features a non-independent torsion beam setup at the rear. So far, we know that the India-spec T-Cross will be powered by an all-new, locally manufactured 1.0-litre TSI turbo petrol engine. This unit is offered in Europe and Latin American markets as well and puts out 115PS of power and 200Nm of torque. There’s no clarity on the diesel engine for India as Volkswagen is rumoured to ditch its 1.5-litre TDI engine once BSVI emission norms are implemented in April 2020. The Euro-spec SUV, however, gets the option of a 1.6-litre TDI. 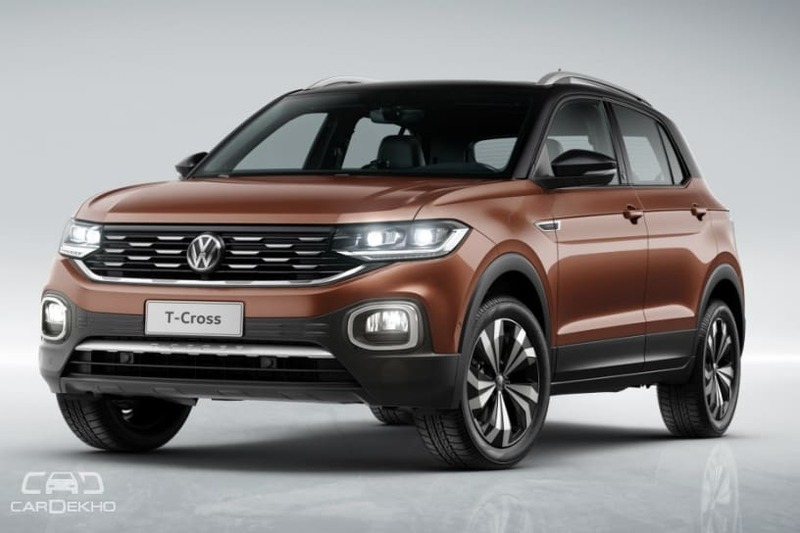 At launch, the Volkswagen T-Cross will rival the likes of the Renault Captur, the recently unveiled Nissan Kicks, the upcoming second-gen Renault Duster and Kia SP-based SUV as well as Skoda’s MQB-A0-based SUV, which is scheduled to be launched in 2020. However, it’s stiffest competition will come from the Hyundai Creta, which might get an all-new (second-gen) avatar around the same time.